My Aunt Pat loves Brussels Sprouts, so last year for Thanksgiving, we made some just for her. Surprisingly, they ended up being the most talked about side dish at Thanksgiving. No one thought they really like Brussels Sprouts. I think this is because most people have tried them boiled. This does absolutely nothing for the Brussels Sprouts and has given them a really bad reputation. Poor Brussels Sprouts. However, when you put them in the oven, they come out golden brown and delicious. I love when some of the outside leaves fall off and get crispy crunchy. 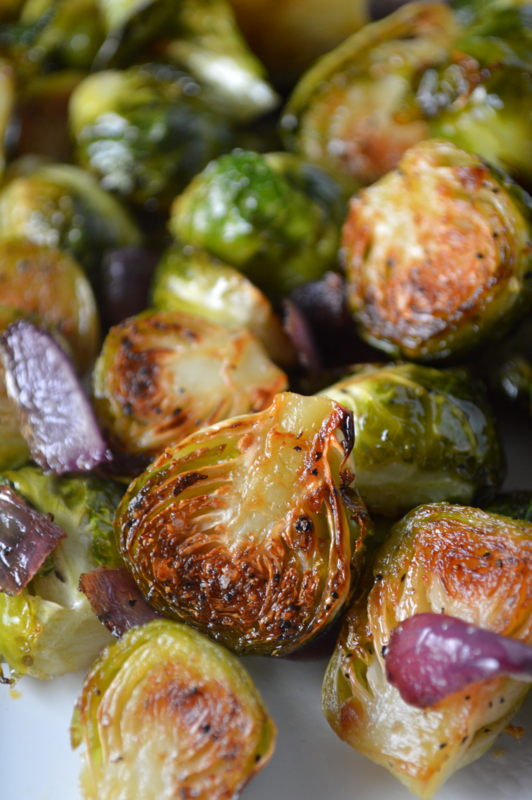 So if you think that you do not like Brussels Sprouts, give these a try! Wash your Brussels sprouts and dry thoroughly. Trim the stem if it is discolored and cut in half. Some of the larger sprouts may need to be quartered. The idea is to have them all roughly the same size so that they cook evenly. Line a baking sheet with foil or parchment. Add the sprouts, onion, garlic powder, salt and pepper. Drizzle with olive oil and toss to coat. Spread the mixture into an even layer, with the sprouts cut side down. Bake in the oven for 15 minutes. Take them out and stir. Bake for another 10-15 minutes until golden brown on the outside and tender on the inside. I think Brussels Sprouts get a bad rep, they’re so delicious, love them! I agree! What is your favorite way to make them? The concept is even better with green beans! I swear I could live off of side dishes, they’re my favorite! Ali I just made the brussel sprouts for dinner and it was delish! even my hubby liked them and wanted to have me make more. This is Lynn. Mom’s bff. Thanks Lynn!!! 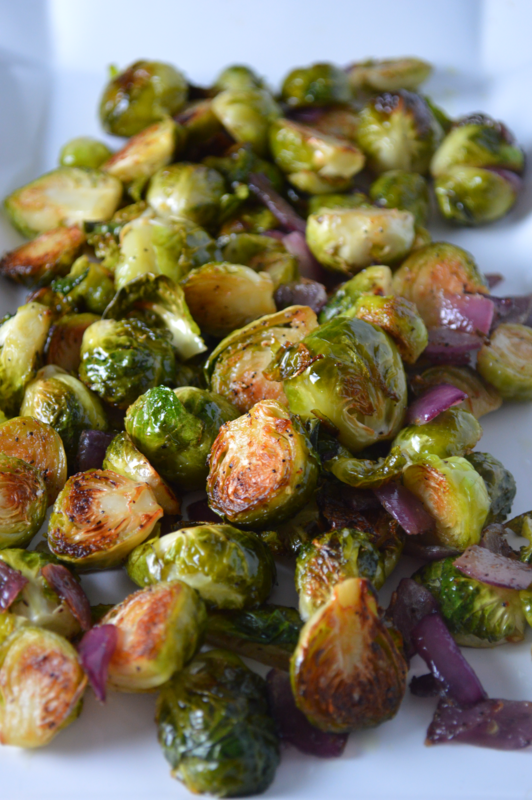 This seems to be the Brussels sprouts recipe that make people actually like Brussels sprouts!